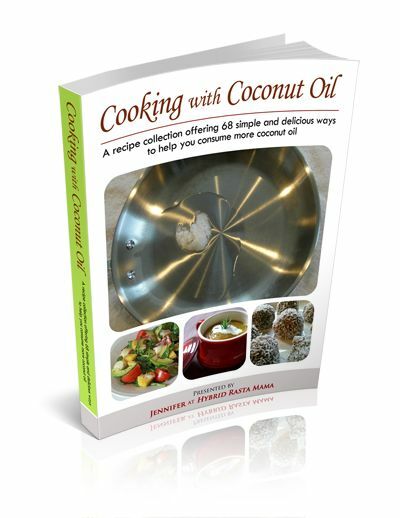 Cooking With Coconut Oil is a collection of recipes that I have worked long and hard on. I have logged countless hours in the kitchen crafting and recrafting every kind of dish imaginable! Since we all know how amazing coconut oil is for your health, my goal was to create a resource that helps YOU get more coconut oil into your diet! Here are a few quick reasons why I think you will love this eBook. The 68 recipes in this eBook are all simple to make. I made sure of that. I know that I do not have the time to sit in the kitchen for three hours trying to make a recipe come together. I want to get in and get out and eat! The ingredients in the recipes are all readily available. I have no interest in sending anyone on a wild goose chase for elusive and exotic ingredients. Just in case those reasons were not compelling enough, Cooking With Coconut also offers general information on coconut oil, how much to consume, some creative ways to add it into your diet, and the different types of coconut oil. Also included is detailed information on the ingredients I use and recommend. I even have a section with information on where you can pick these up online for the best price. Finally, I have an entire section with conversion charts to make things easy for you. Seriously – I did not leave anything out. Ready for the best part? My three favorite coconut oil companies have some special offers for you. But you’ll have to pick up the book to find out what those are!